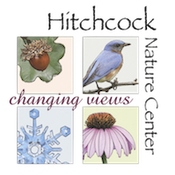 Themes: Birds of the Midwest or Endangered Bird Species. - For ideas, click here for a list of birds found in Nebraska. A Final Call for Help! The Audubon Society of Omaha is pleased to sponsor its annual student art contest and show for 2019. The goal of this contest is to expose young people to birds and promote the importance of wildlife in our community. It is our hope that young people will recognize the birds they create and foster an enjoyment of nature. All artwork must depict one or more Midwestern birds in their native habitat or an endangered bird species. All submitted student artwork will be exhibited during the art show at the NEW LOCATION - Harper Center Auditorium at Creighton University (download map below). Contest winners will be posted on this website after March 25, 2019. If you would like to print out and post a flyer about the contest, please download the "Contest Flyer" below. In addition, there will be separate judging for Best in Show for three different age groups: K-4th, 5th-8th and 9th-12th. True-to-life art in the tradition of the American wildlife artists. The bird is easy to identify with accurate coloring and markings. The student must do a freehand drawing. No obvious tracings, stamps or stencils or computer drawn works will be considered for an award. Medium: Colored pencil, ink, marker, watercolor, tempera paint, pastels, etc. Art must be in color, unless the bird's actual coloring is black and/or white. Emphasis on color and design rather than realism, yet retaining bird identification. For example, bird(s) must still be identifiable as a Cardinal or Blue Jay. Medium: Colored pencil, ink, marker, watercolor, tempera paint, pastels, colored or textured paper, fabric, etc. Any style cartoon drawing with some indication of the kind of bird portrayed, indicated by bird shape and some identifiable markings. Art may be a one-panel cartoon or a story cartoon of several panels, with or without captions. Medium: Colored pencil, ink, marker, crayon. Emphasis on creative use of recycled or up-cycled materials with some indication of the kind of bird portrayed, indicated by bird shape and some identifiable markings. Medium: Materials that have been previously used and/or destined for recycling or the landfill. In addition, colored pencil, ink, marker, watercolor, tempera paint, pastels and glue or fasteners may be used. Please see SPECIAL rules and requirements for this category listed below. All artwork should be two-dimensional only, and may be as small as 8 1/2 x 11" or as large as 11x14." Please mount artwork on either white or black backing, such as construction paper or poster board. The backing should provide a 2 to 4-inch margin on top and sides and a 4 to 6-inch margin on the bottom. Each work of art requires an entry form (see Entry Form below in "Submission of Entries"). Artwork may be two-dimensional or THREE-DIMENSIONAL/Freestanding. Materials used should be dry, clean and safe – no rough or sharp edges. Artwork CANNOT use any bird by-products such as feathers, eggs or eggshells. Please mount two-dimensional art securely on either white or black backing, such as construction paper or poster board. Each work of art requires an entry form and, for this category, a list of materials. If art is 3-Dimensional/Freestanding, it can be no larger than 14"x8"x5” and weigh no more than 4 lbs. maximum. It must be submitted in a shoebox-sized container with lid so it can be transported safely. NOTE: Entry forms should be mounted securely on the FRONT of the art work, centered underneath the art work, on the 4-to-6 -inch margin of the backing. Adults may choose to print out the entry forms for younger students, as these entry forms will be the only student identification on the artwork. Entry form and list of materials can be attached to lid for three-dimensional entries in the Recycled category. All artwork must be delivered directly to the Audubon Society of Omaha Office, at the Center Mall, 42nd & Center, lower level on Friday, March 1 - 3pm to 6pm, or Saturday, March 2 - 10am to 3pm (see map below). NO ELECTRONIC ENTRIES WILL BE ACCEPTED. Teachers: Please try to limit entries to 4-6 per classroom, per category. We will accept a slightly larger number, but we are not staffed to handle large volumes of art from a single classroom. We know it’s hard to do, but please do not submit a whole classroom of art without making any pre-selection. Student artwork does not need school sponsorship. All students of Nebraska or Iowa are welcome to enter this contest independently and submit their art directly to the Audubon Society of Omaha. Home-schooled students are welcome to enter this contest. Artwork of all student participants will be on exhibit at the NEW LOCATION - The Harper Center Auditorium at Creighton University (get directions below). The art show will open at 12pm on Saturday, April 27 and close at 3:00pm. The art show is free and open to the public. All Excellence and Merit Award winners, grades K-8 will be honored at an awards ceremony at 1:30 pm during the art show. Grades 9-12 Excellence and Merit Award winners’ ceremony begins at 2:30 pm. Each winner will receive a ribbon and a special prize, to be presented at the awards ceremony. All Award of Excellence winners and Award of Merit winners are asked to be present to receive their awards. All will have their names read and be called to receive their award ribbon and prize. The list of 2019 winners can be found here. No written confirmation will be sent out to teachers or schools. Teachers, parents and students must check the website for winners/judging results. All student artwork must be picked up by the student or teacher on April 27, 2019 before 3pm at the NEW LOCATION - The Harper Center Auditorium at Creighton University (get directions above). Unfortunately, we cannot store any artwork beyond that date, unless parents and/or teachers call and make special arrangements for pickup. The Audubon Society values every student's artwork, and we take great care with each piece. However, we cannot assume any responsibility for the loss of, or damage to, submitted art. 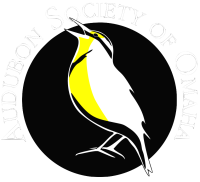 This contest is organized by volunteers who are members of the Audubon Society of Omaha. 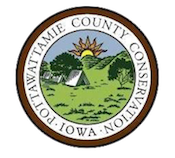 Our organization is dedicated to the active promotion of environmental awareness to our community through education, conservation, and enjoyment of our natural heritage, especially birds. If you are excited about this contest and would like to see it continue next year, please call (402) 445-4138 or email and volunteer to help. There are many volunteer opportunities that require only a 2-3 hour commitment per year.